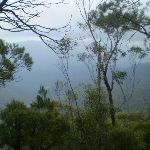 From Jamison Lookout, this walk follows the footpath, keeping the road and picnic area to the right. 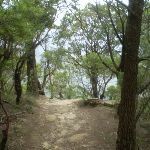 The path passes a sign pointing back ‘To walking tracks’ and comes to a small picnic area. 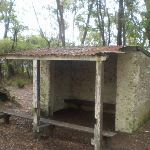 The walk heads through this small picnic area to follows the ‘Den Fenella Lookout’ sign down the hill. 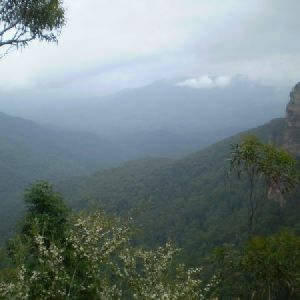 The track soon starts to zigzag and passes a lookout, with distant views filtered through the surrounding trees (avoid the track to the left near the lookout). 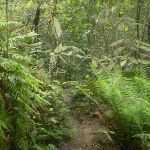 As the track continues down, it passes through temperate rainforest and then bends left to travel parallel with Den Fenella Creek. 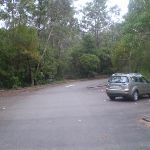 The track soon leads to an intersection just before a bridge, with a sign pointing back up to ‘Wentworth Falls Picnic Area’. 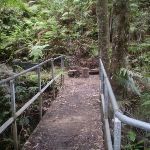 Turn right: From the intersection, this walk crosses over Den Fenella Creek using the bridge and comes to an intersection at the ‘Den Fenella’ sign. 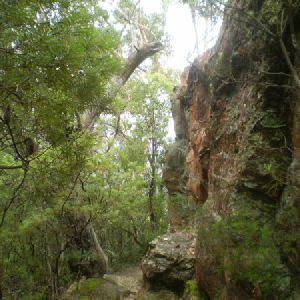 Veer left: From the intersection, this walk follows the ‘Den Fenella’ sign along the lower track, keeping the creek to the left. The track soon begins to go down very steeply (can be slippery) between the handrails and rock wall. 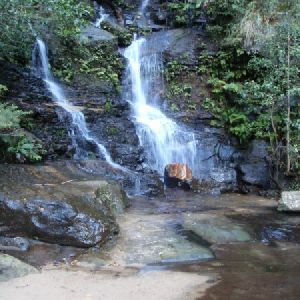 The track then crosses the creek at the stepping stones below the cascades (the creek may be impassable after rain). 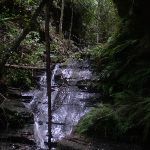 On the other side of the creek, the walk heads down the steps to come to a bridge below the bigger Den Fenella Fall. 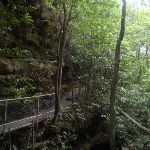 From the Den Fenella Fall, this walk crosses the metal bridge and continues along the cliff edge along the fence-lined track. 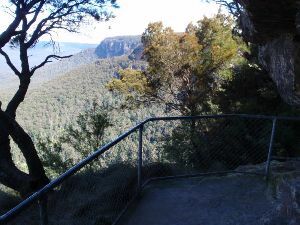 After heading down some steps, the track ends at a fenced point with great views across the valley. 380m of this walk has short steep hills and another 75m is very steep. The remaining (10m) is flat with no steps. 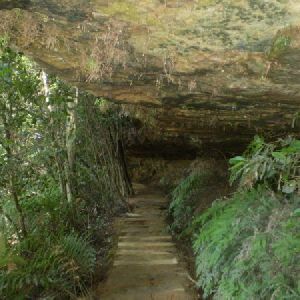 380m of this walk follows a clear and well formed track or trail and another 75m follows a formed track, with some branches and other obstacles. The remaining (10m) follows a smooth and hardened path. This whole walk, 460m is clearly signposted. 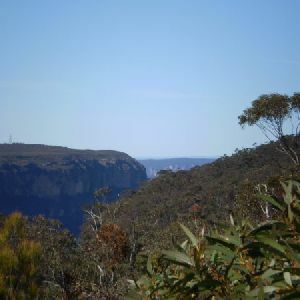 Around 450m of this walk requires some bushwalking experience, whilst the remaining 10m requires no previous bushwalking experience. 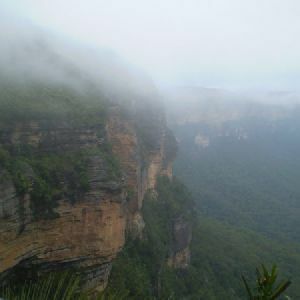 Around 390m of this walk is not usually affected by severe weather events (that would unexpectedly impact safety and navigation), whilst the remaining 75m is affected by storms that may impact your navigation and safety. 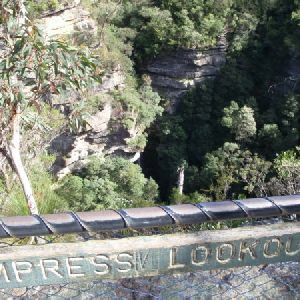 380m of this walk has limited facilities (such as not all cliffs fenced) and another 75m has limited facilities (such as cliffs not fenced, significant creeks not bridged). 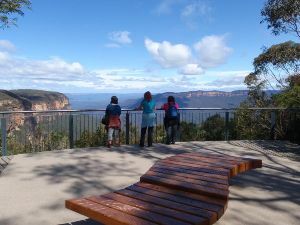 The remaining (10m) is close to useful facilities (such as fenced cliffs and seats). 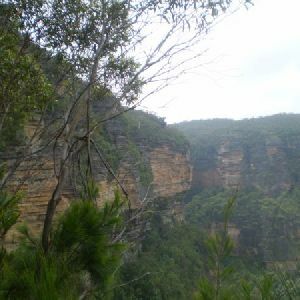 A list of walks that share part of the track with the Den Fenella Track walk. 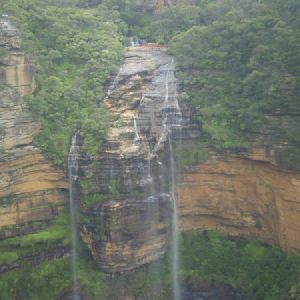 A list of walks that start near the Den Fenella Track walk. 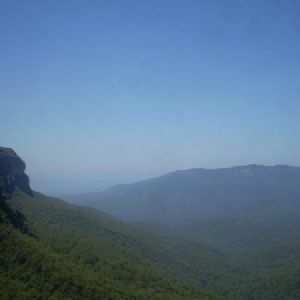 http://new.wildwalks.com/wildwalks_custom/includes/walk_fire_danger.php?walkid=nsw-bmnp-tdct Each park may have its own fire ban, this rating is only valid for today and is based on information from the RFS Please check the RFS Website for more information.